Vera Wang is an American designer who has amassed a staggering estimated net worth of around $420 million. Wang owns a 10 million US dollar worth estate in Beverley Hills, California among various other real estate assets. Vera Wang is mostly known for her world-famous bridal gowns. Wang has made a multi-million dollar empire out of selling bridal gowns, many of which are custom made. Wang’s custom-made gowns are known to sell at thousands of US dollars and have been worn by many popular celebrities. Vera has also spread her creative talents in the world of sportswear. Right after her graduation from New York’s Sarah Lawrence College, Vera Wang was hired by the popular Vogue magazine to work as an editor. Wang was the youngest person ever to have been selected to be an editor at Vogue at that time. Wang was very serious about her work in Vogue and stayed with the now-iconic magazine for 17 years. She left the magazine to work in a more creative sector for American designer Ralph Lauren. Vera Wang left Ralph Lauren only after two years and then embarked on a professional path as an independent bridal wear designer. The gowns designed by Vera Wang quickly became synonymous with bridal gowns as multiple high profile celebrity sported the gowns during their own weddings. Wang was known to bring the couture element to the design of her wedding gowns, a stylistic trademark that has been defined as revolutionary by many. Among the many public figures to have worn a Vera Wag gown at their wedding are the likes of Chelsea Clinton, Alicia Keys, Mariah Carey, Victoria Beckham, Hilary Duff, and Kim Kardashian. Even ex-first lady Michelle Obama wore one of Wang’s gowns during a White House Dinner. Vera Wang also ventured into designing sportswear following her collaborations with multiple figure skating Olympians. Wang designed the Olympics costume for Nancy Kerrigan for the 1992 and 1994 Winter Olympics and for Michelle Kwan in the 1998 and 2002 Winter Olympics. Wang’s contribution to the figure skating community was deemed so profound that she was inducted into the U.S. Figure Skating Hall of Fame in 2009. Wang has also designed uniforms for cheerleaders, most prominently for the cheerleaders of the NFL team Philadelphia Eagles. In 2006, Vera Wang partnered with Kohl’s to launch Simply Vera, an inexpensive line of ready-to-wear clothing. Wang has also partnered with Men’s Wearhouse to launch two tuxedo styles for men. 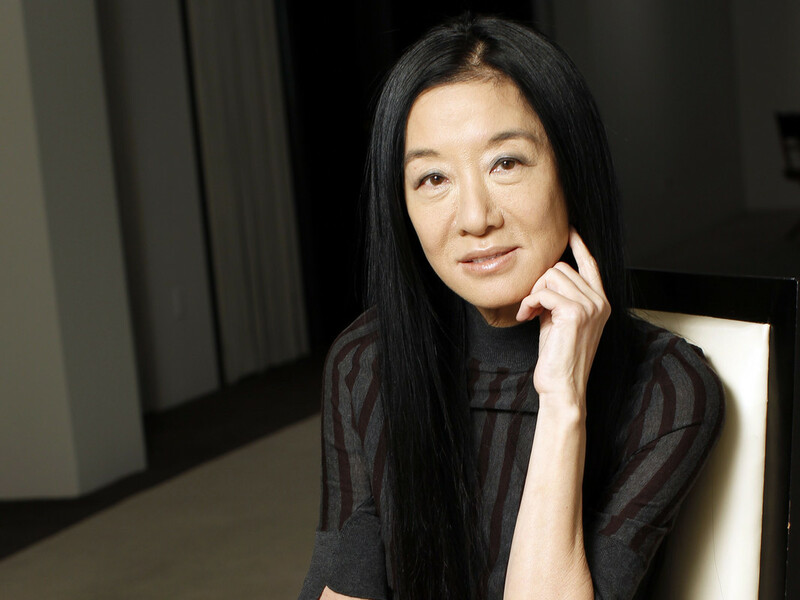 For her contribution to the fashion industry, Vera Wang was awarded a Lifetime Achievement Award by CFDA in 2013. Wang had previously been honored as the Womenswear Designer of the Year by CFDA in 2005. Vera Wang married Arthur Becker, a real estate developer, in 1989. The couple adopted two daughters together. The couple separated in 2012 and announced that the separation was amicable. Vera Wang is very fond of sports and exercise. Wang used to figure skate during her youth. Wang is also notorious for not picking any phone calls during the day.